You are cordially invited on behalf of the Financial Policy Council’s Board of Directors, to our next Financial Policy Council private briefing with Mr. James Woolsey; former Director of the Central Intelligence Agency (CIA), chairman of the board of the Foundation for Defense of Democracies, and Venture Partner with Lux Capital Manatement. 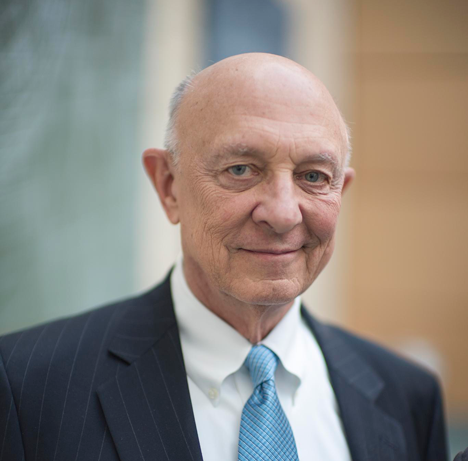 Ambassador R. James Woolsey, a former Director of Central Intelligence, chairs the board of the Foundation for Defense of Democracies, and is a Venture Partner with Lux Capital Management. Ambassador Woolsey also currently chairs the Advisory Board of the Opportunities Development Group and the Strategic Advisory Group of Paladin Capital. He previously was a venture partner and senior advisor with VantagePoint Venture Partners. In 2009 he was the Annenberg Distinguished Visiting Fellow at the Hoover Institution at Stanford University and in 2010-2011 was a Senior Fellow at Yale University’s Jackson Institute for Global Affairs. From 2002-2008 Mr. Woolsey was a Vice President of Booz Allen Hamilton in McLean, Virginia, specializing in energy and security issues, and prior to that a partner with Shea & Gardner in Washington D.C., specializing in commercial litigation and alternative dispute resolution (arbitration and mediation). He practiced at the law firm for 22 years on four different occasions and served in the U.S. Government 5 times for 12 years, holding Presidential appointments in 2 Republican and 2 Democratic administrations. In addition to serving as DCI, he was ambassador to and chief negotiator for the Conventional Armed Forces in Europe (CFE) Treaty (1989-91), General Counsel of the Senate Armed Services Committee, and Under Secretary of the Navy. He has served on numerous corporate and non-profit boards, including as a Trustee of Stanford University and as a Regent of the Smithsonian Institution. He speaks publicly and contributes articles to national newspapers and other major periodicals on such issues as national security, energy, foreign affairs and intelligence.